One piece that is a classic in both women and men's life's when it comes to accessories is a watch, there are so many on the market and it's easy to spend a lot of time deciding exactly which one you're going to go for - whether that's one for best, casual or one you can wear whatever the occasion. 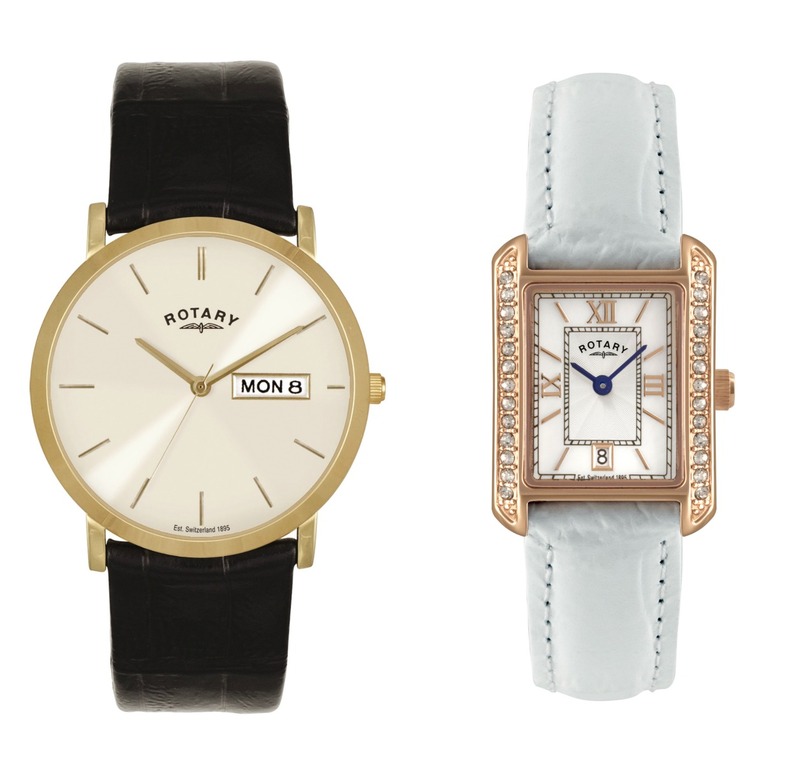 In come Rotary with a selection of simple yet stylish, sophisticated watches. Rotary Watches Limited are “an award-winning worldwide brand of classic timepieces. The firm was founded in 1895 by Moise Dreyfuss in the Swiss town of La Chaux de Fonds.” These stylish watches are now “sold in over 35 countries throughout the world. Rotary specialises in designing affordably stylish timepieces, blending the ‘old with the new’ and the ‘contemporary with the classic’ to achieve a distinctive range of watches.” Quote ‘Rotary’ here. Rotary deliver when it comes to bringing classic watches in a variety of different designs and styles that aren't necessarily going to break the bank. Prices vary from £99+ - there's something for everyone. It's not just us regular people who are a fan, it seems even the celebrities are drawn to these beauties including the royal family. Diane Kruger & Joshua Jackson are also fans. I absolutely love the ladies watch seen above, from the classic white leather strap to the beautiful rose gold case with a touch of crystal, which isn't to much but gives it a jazzy look whilst still keeping it simple and classy. The many features of this Rotary watch include a Swiss Quartz movement that is powered by battery, waterproof, mother of pear dial with gold tone Roman numeral markers and date window. All Rotary watches come with a lifetime guarantee and for £135 for this particular one you really can't go wrong. The men's watch retailing at £119 comes with a black leather bracelet and a case and a champagne dial again simply stylish and a great watch to own. You could wear this casually, for best or both. Diane Kruger shows you just one of the ways you can wear this watch. Of course, she's at an event where her clothes are more formal; but she wears it well. This watch is so versatile you could easily get away with wearing it with casual wear - that's why I love this particular one. Joshua Jackson being the same. There are many retailers that stock Rotary watches you can check out their website for your nearest stockist. Facebook here Twitter here I don't think I've ever wanted a watch more then I want the one above. What do you think? I took part in a feature for Rotary. I wasn't in anyway compensated for this post. I think its nice to save money aside for something more luxurious. Nicely written Kate, xoxo.